Snacks:Anan provides snack for all its students during the break time which is prepared at the In-house pantry which is hygienic and well maintained by experts of the same field. Snacks are provided for the students with their health and well being in mind. 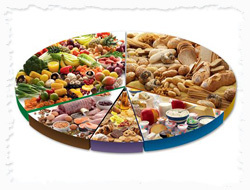 The snack chart has been created in consultation with nutritionists and dieticians having in mind the likes and dislikes of kids and also well balanced with a combination of veggies, fruits, nuts and cereals.